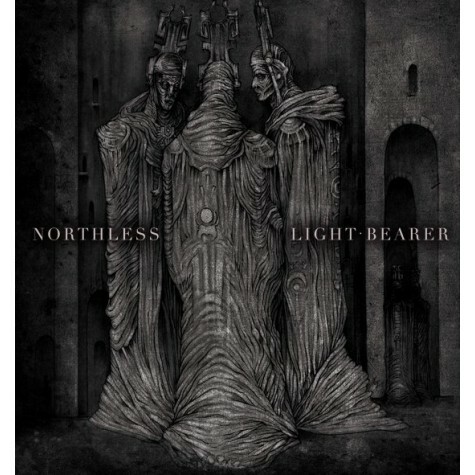 Northless lends two tracks to side A. this is Northless’ first recording since the Clandestine Abuse DLP/CD of 2011 and it shows growth and depth as well as the well forged rage and inherent sadness they’ve become known for musically. Light Bearer lends one to side B. ‘Celestium Apocrypha: Book of watchers’ this is the continuation of the 2nd narrative following the “Beyond The Infinite – The Assembly of God” Ep released in 2011.